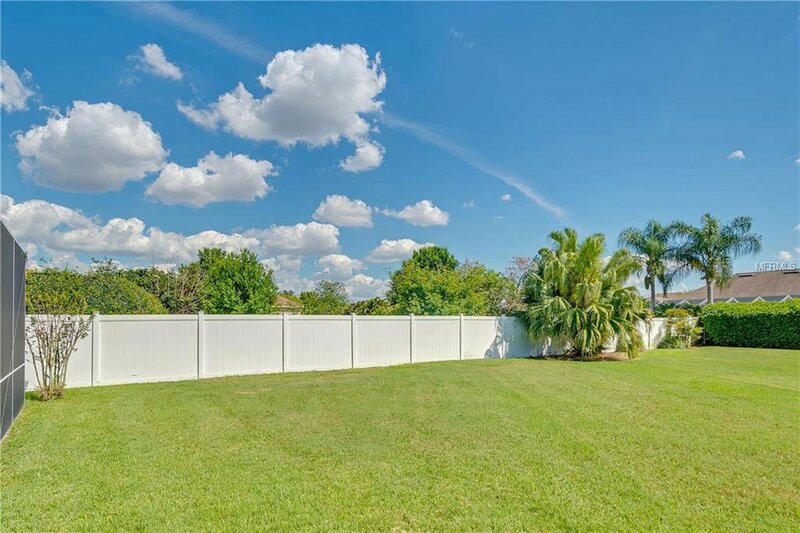 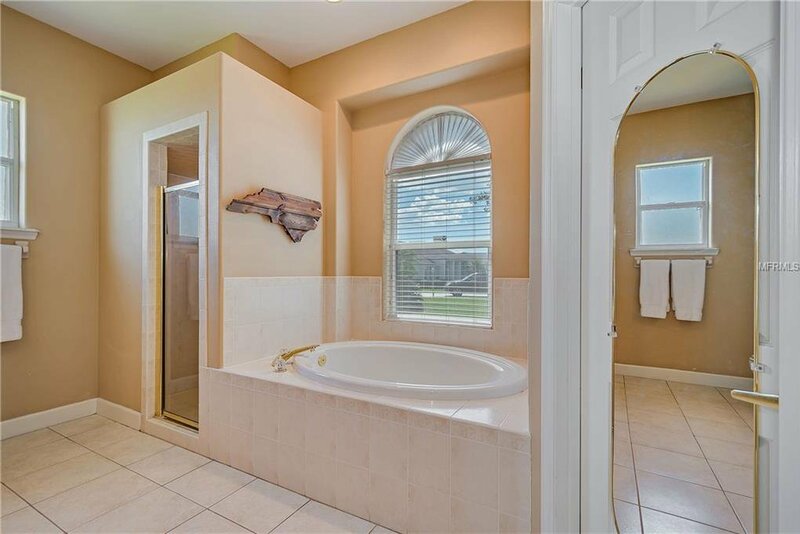 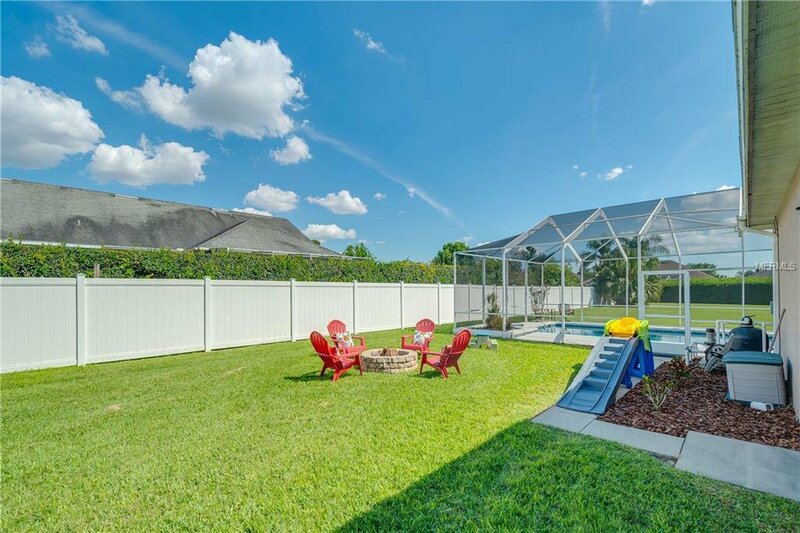 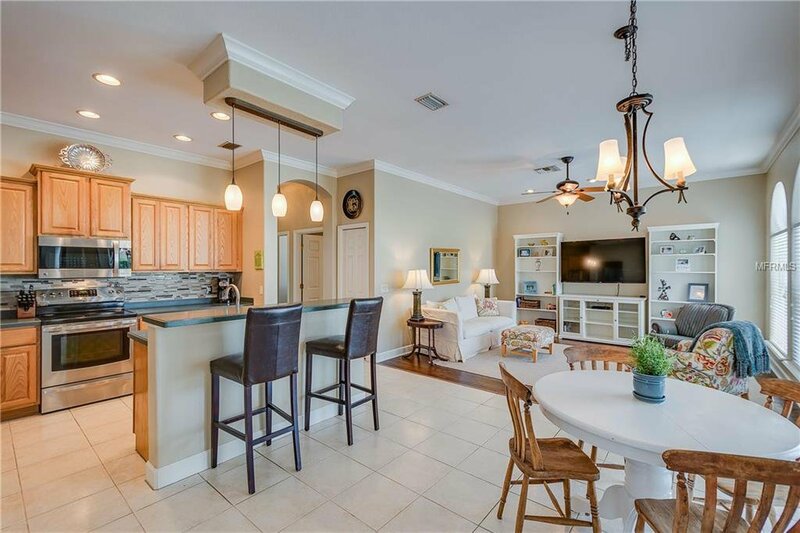 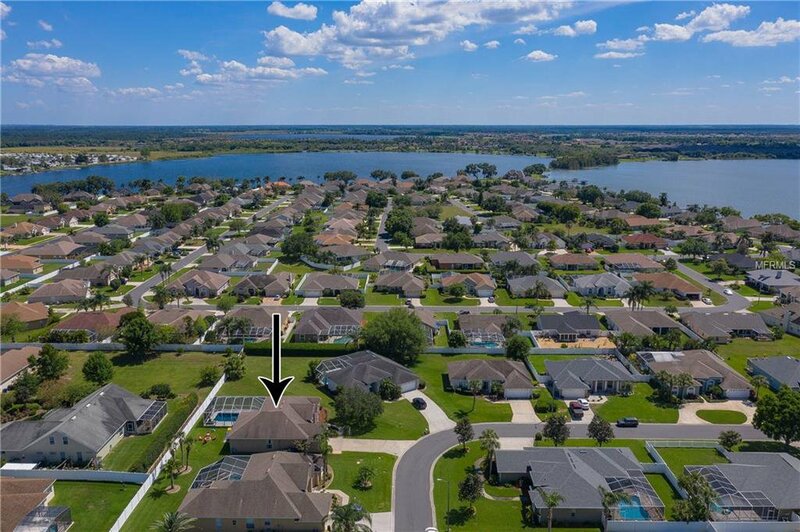 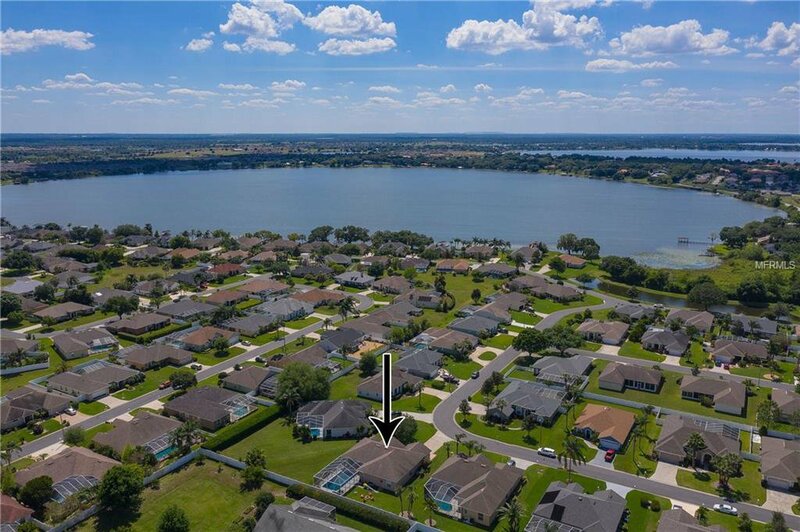 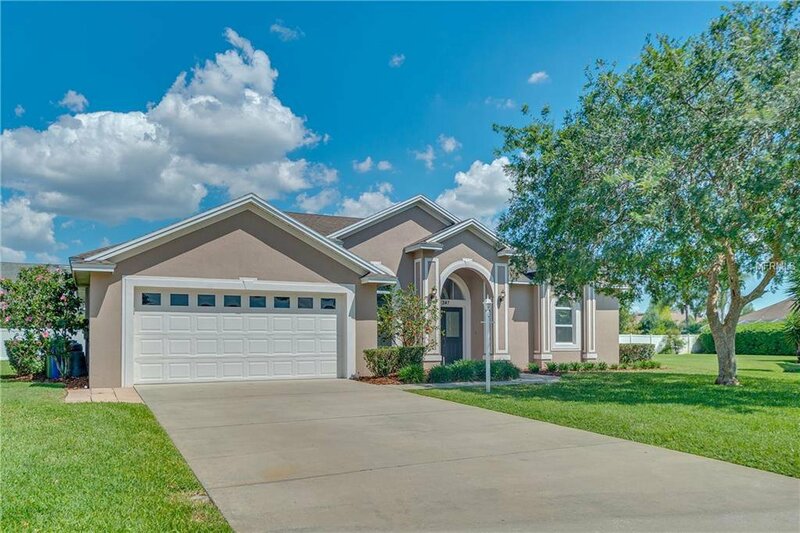 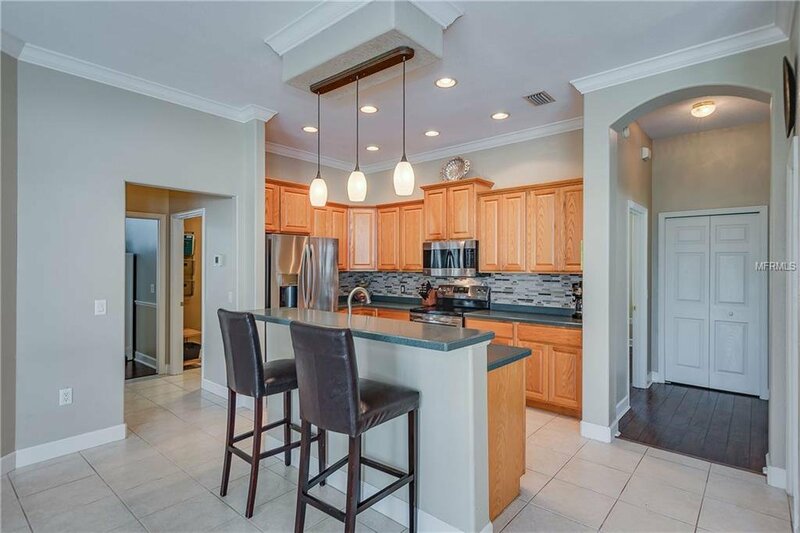 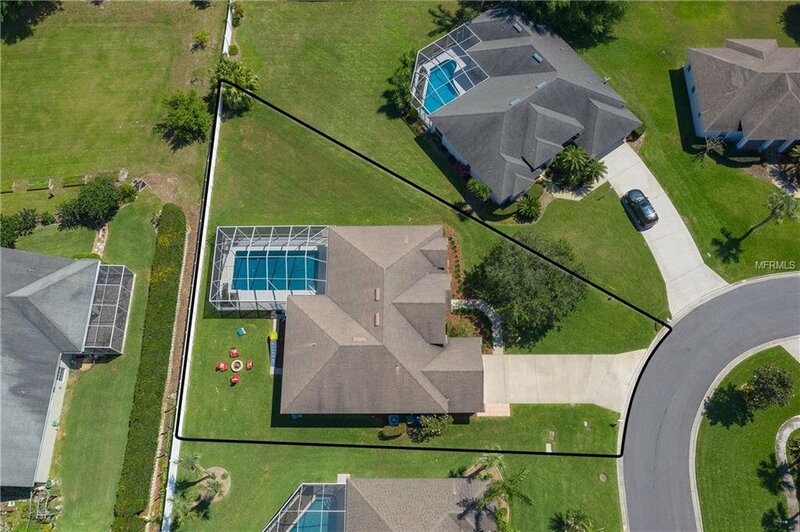 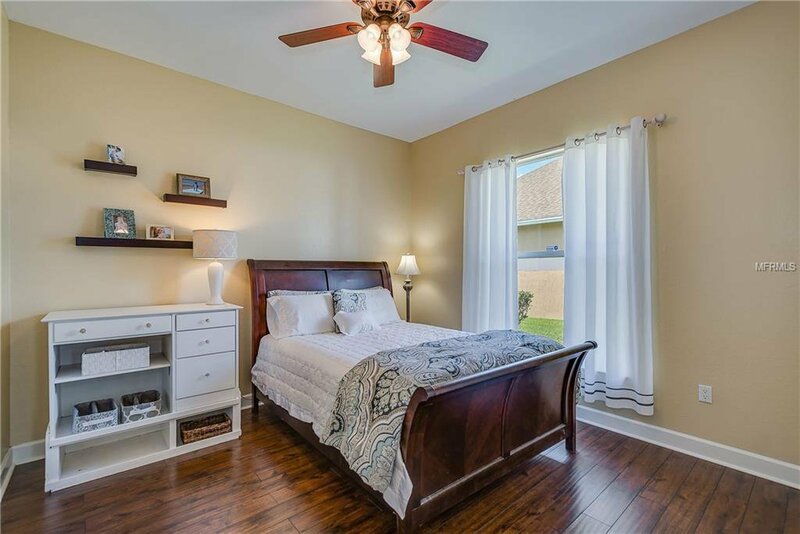 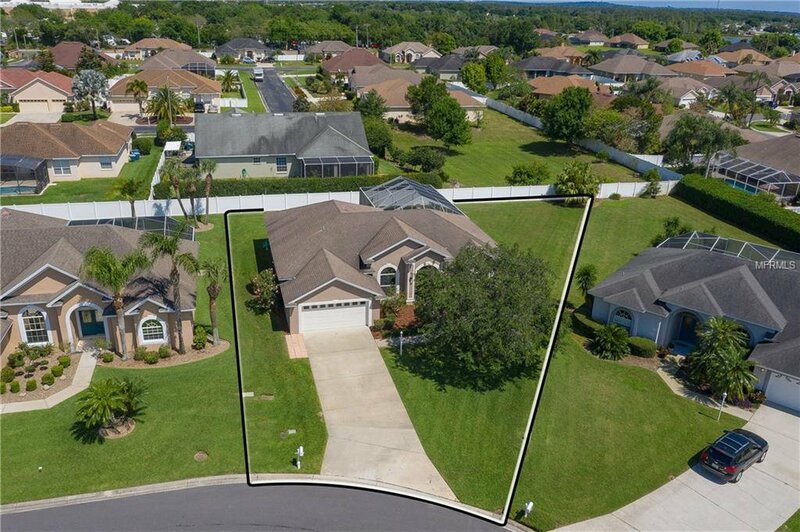 HIGHLY SOUGHT AFTER GATED NEIGHBORHOOD OF "RUBY LAKE" IN 33884 of SE WINTER HAVEN, FL** This Property has the ideal floor plan w/ 12' ceilings & laminate or tile flooring only, NO CARPET! 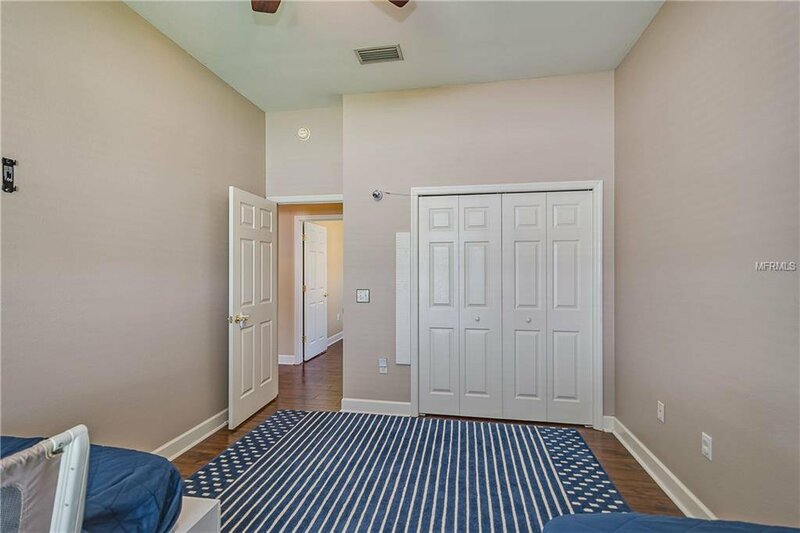 3 bedrooms + den + 2 bathrooms + separate dining room + inside laundry room + 2 car garage. 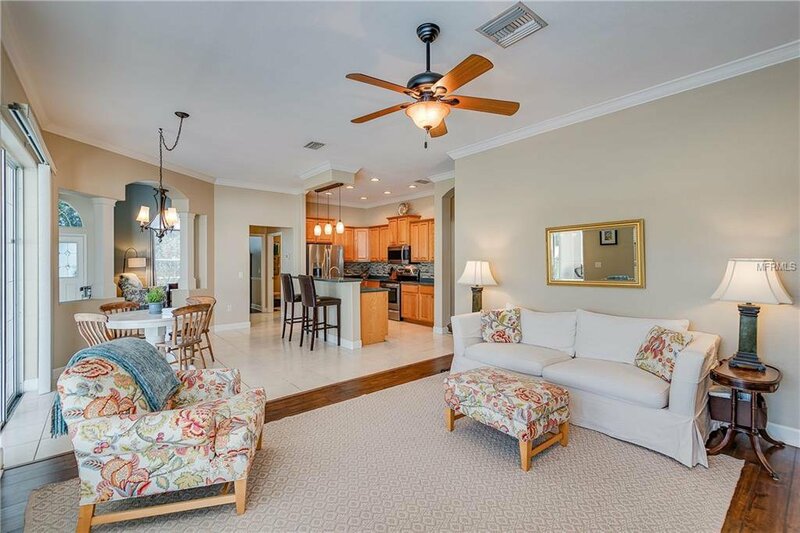 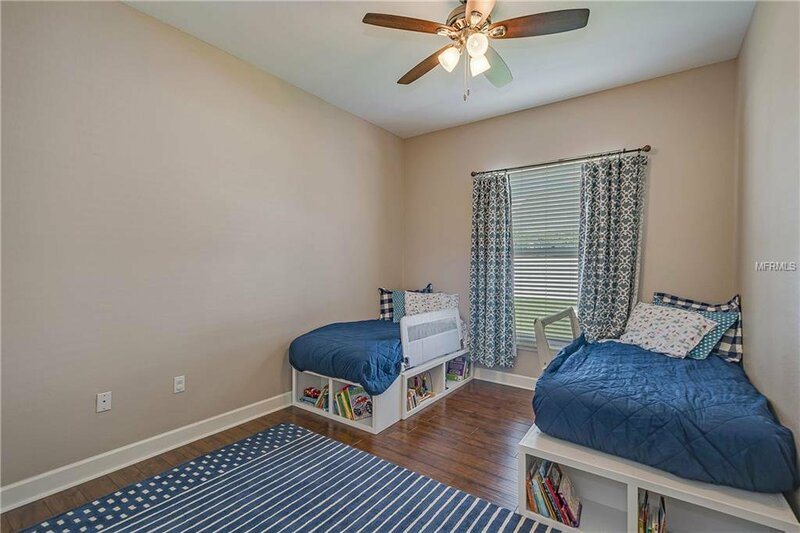 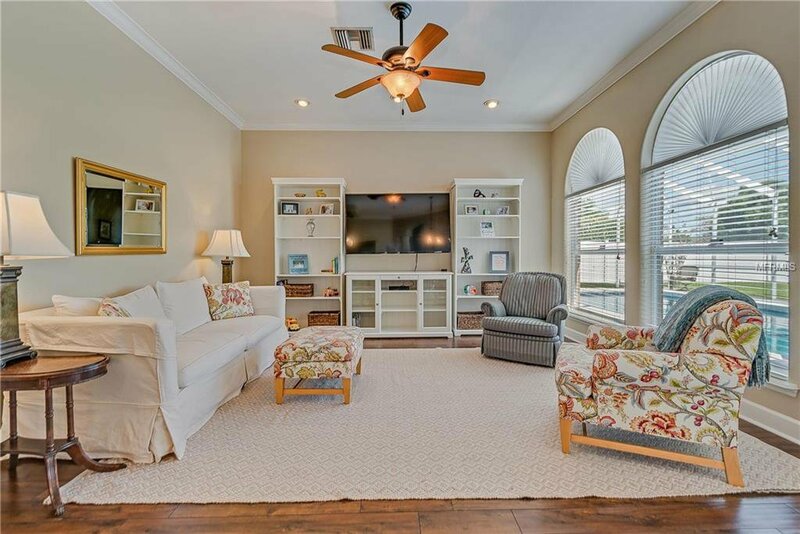 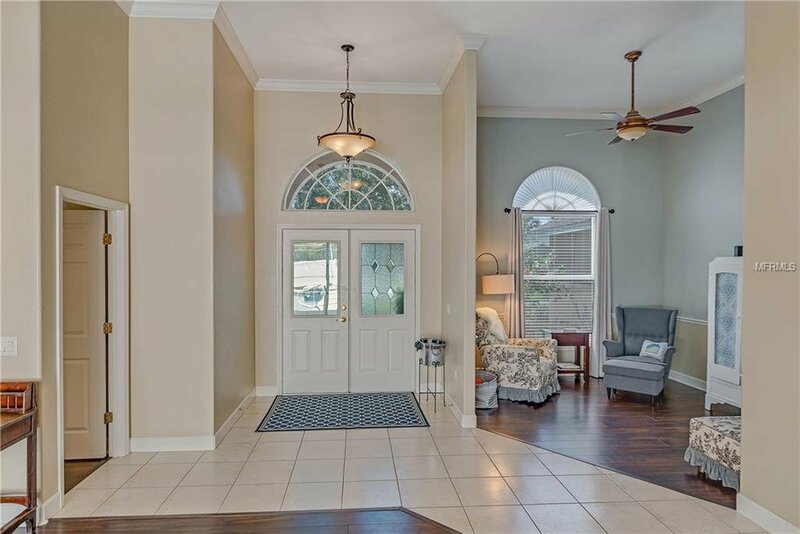 OPEN FLOOR PLAN w/ beautiful architectural details including crown moulding and 5" baseboards. 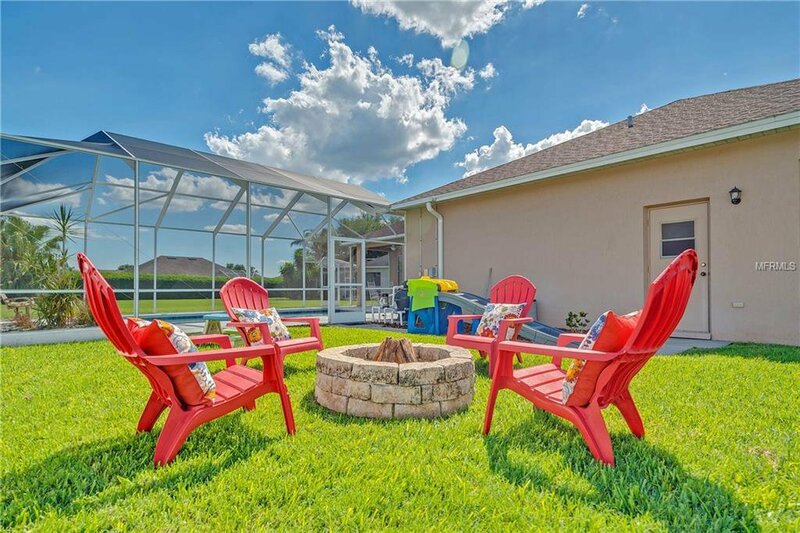 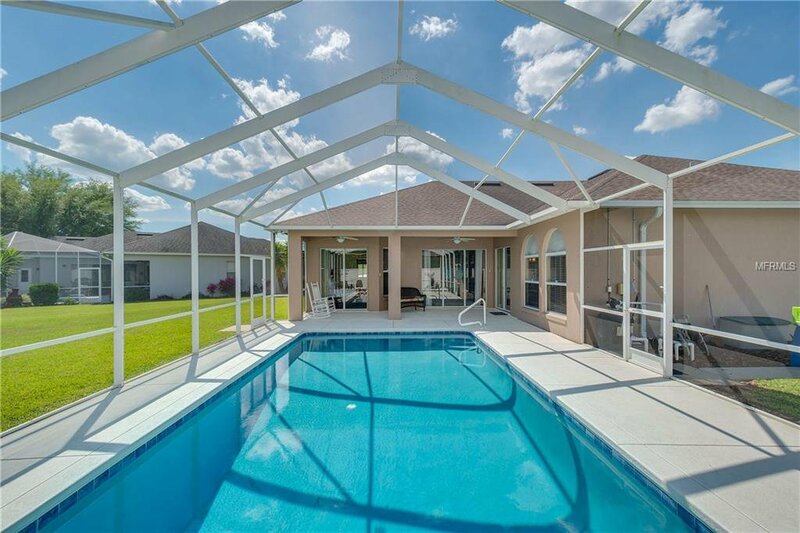 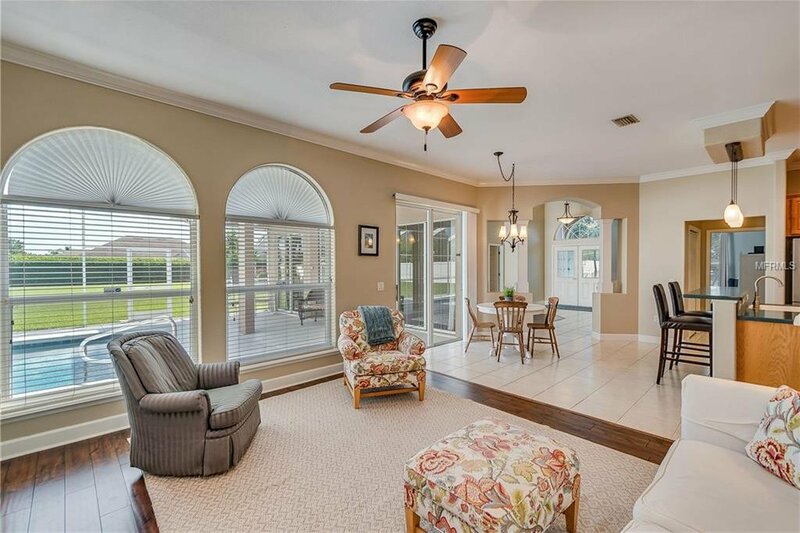 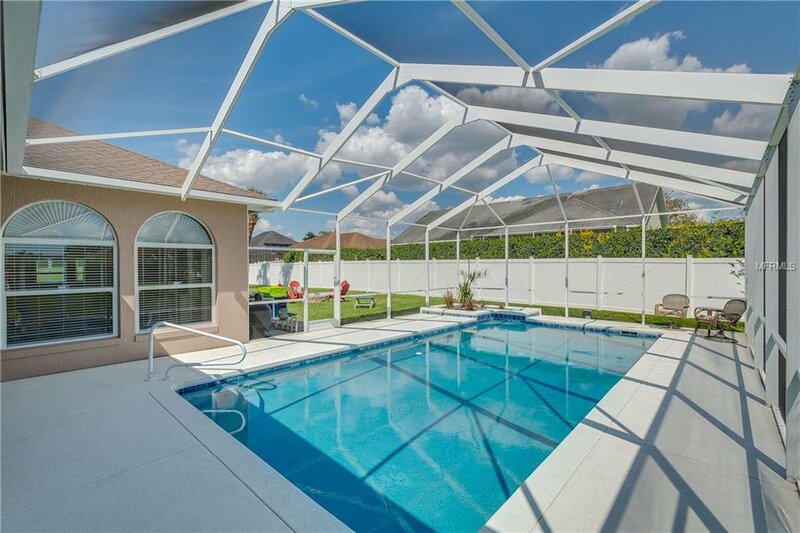 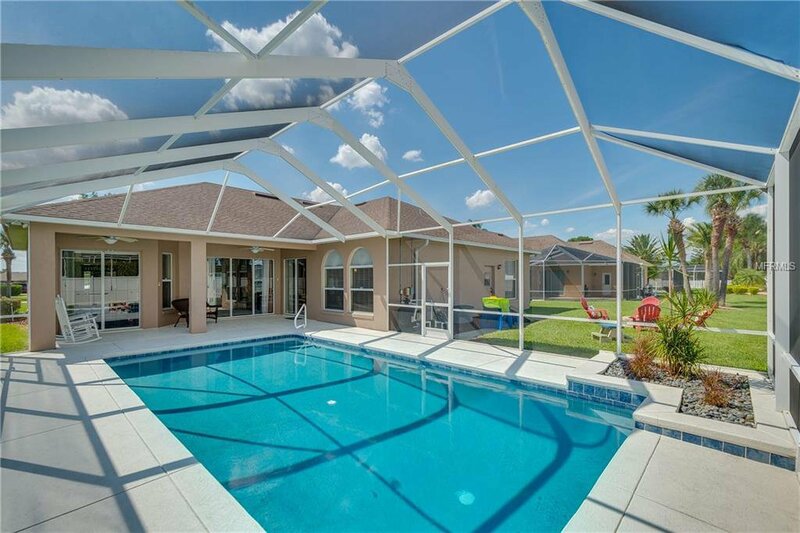 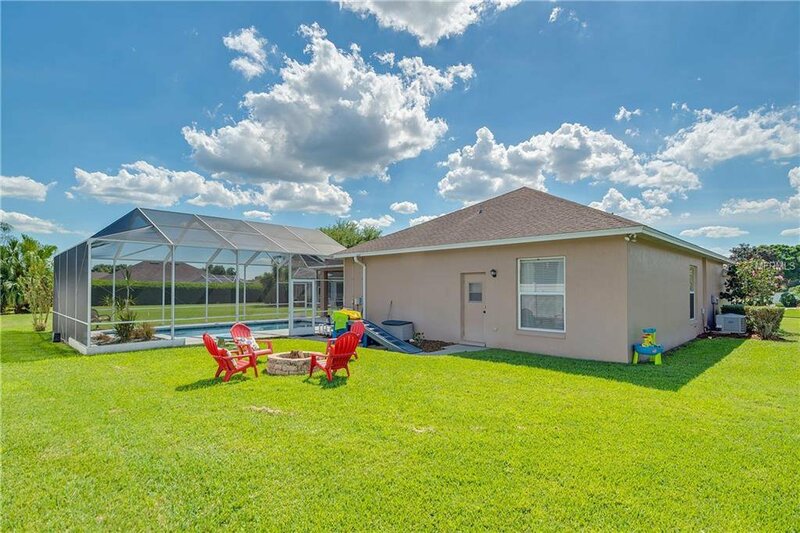 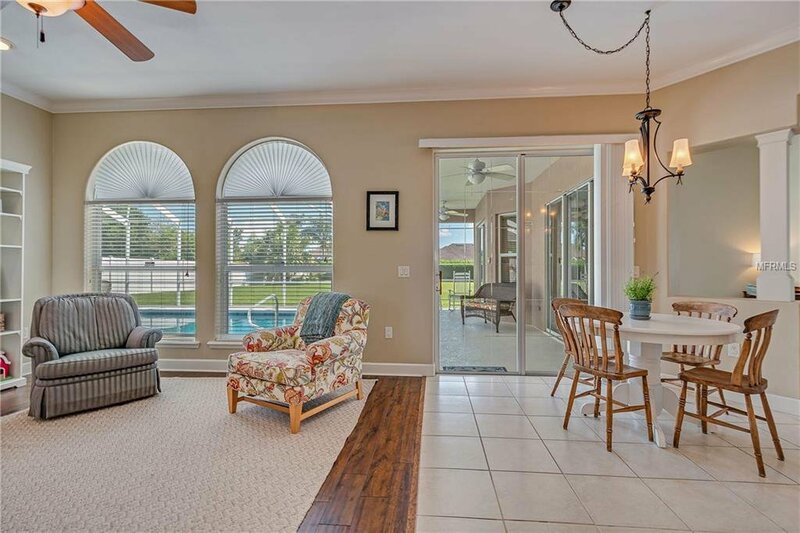 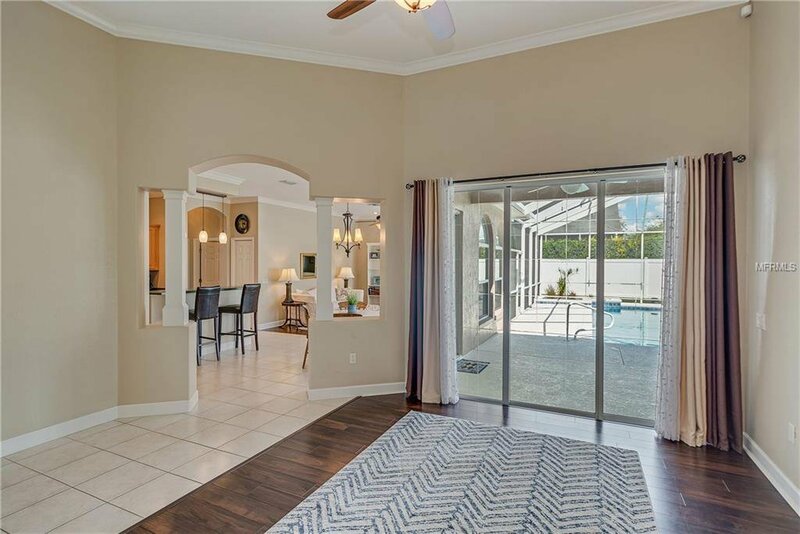 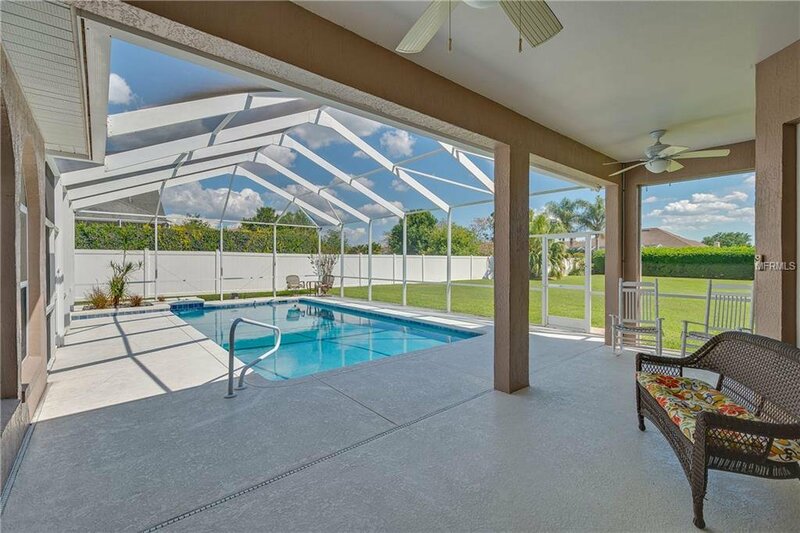 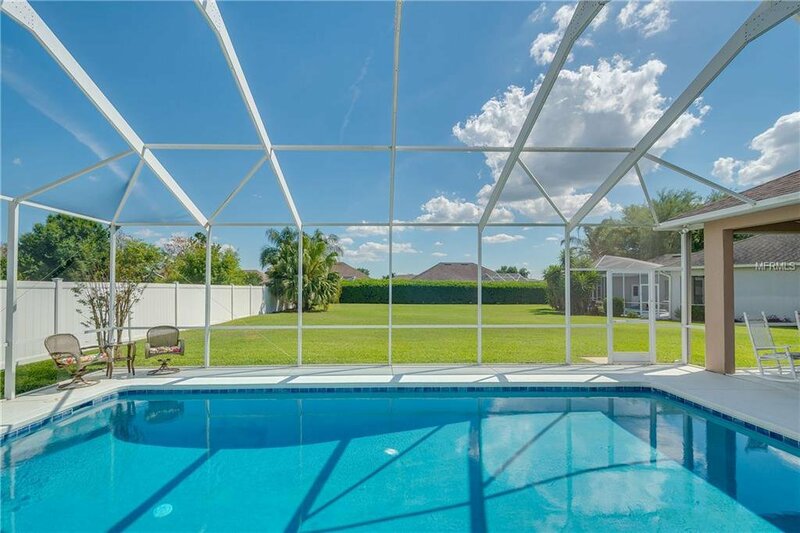 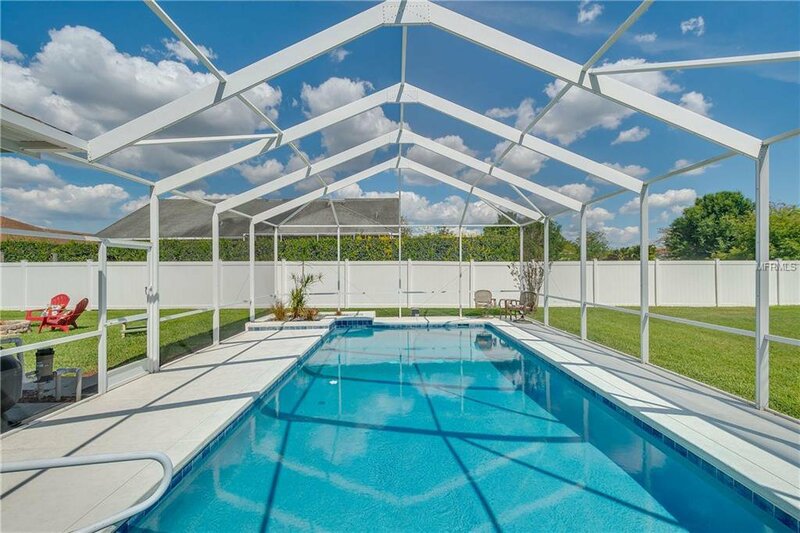 Sliding glass doors in the living room and dining room lead to a covered and screened back porch overlooking your private pool and backyard with fire pit- the perfect location to spend time with family/friends and enjoy the FL weather! 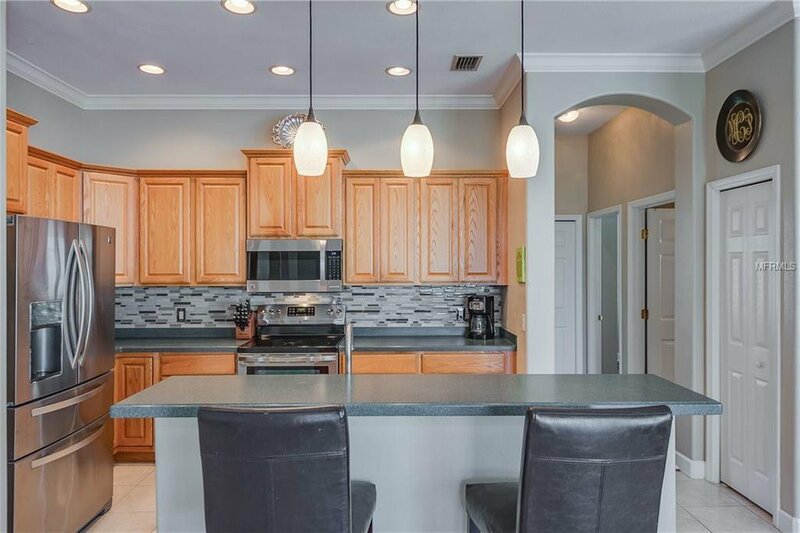 Kitchen features include: bar top seating, breakfast area, extra deep sink with goose-neck faucet and pantry. 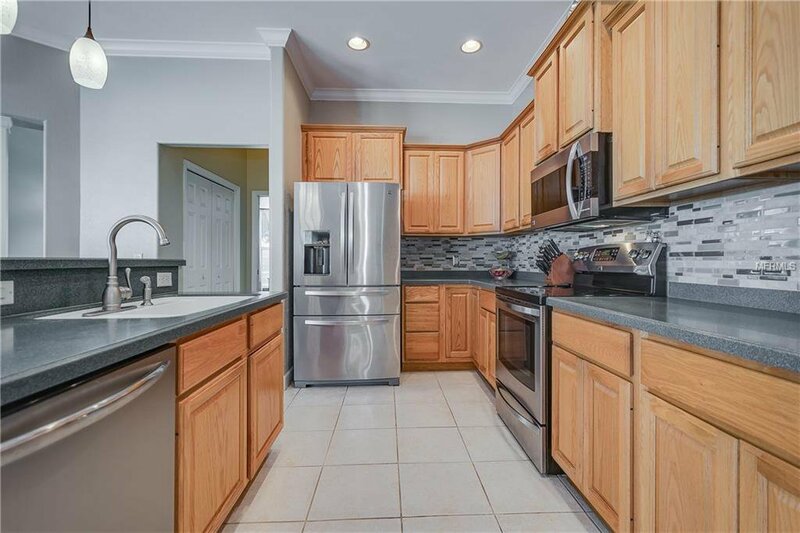 All appliances stay with the home. 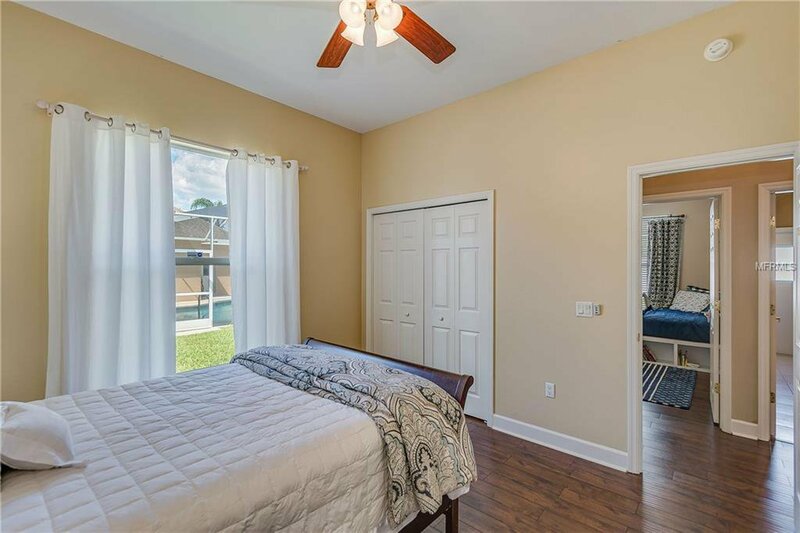 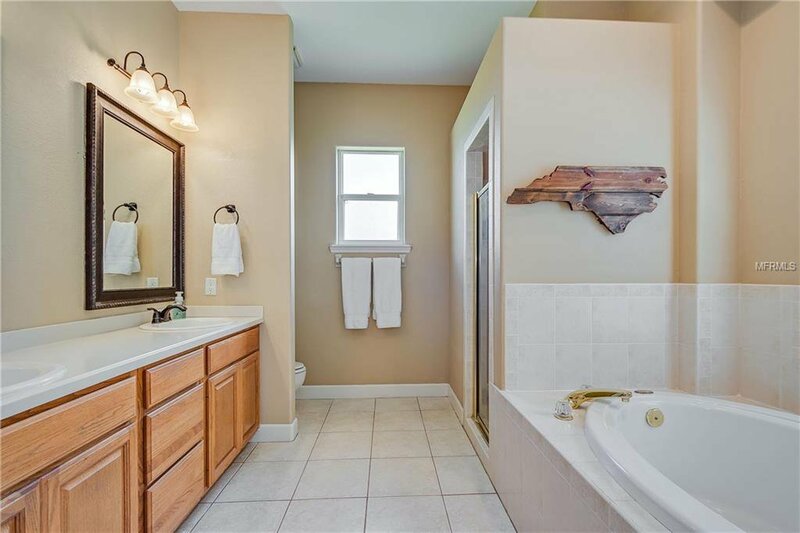 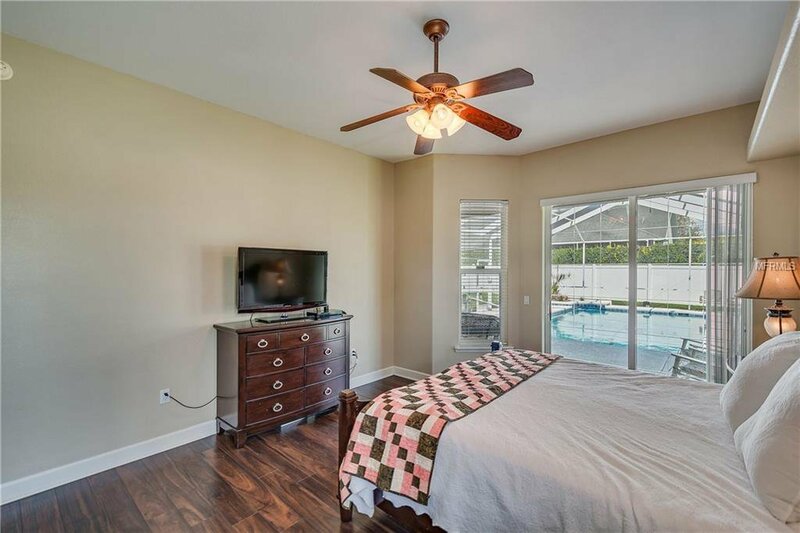 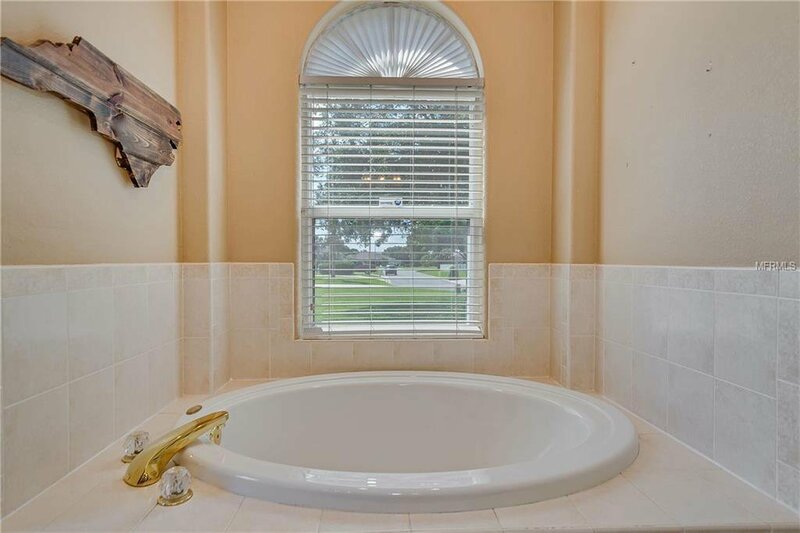 Master bedroom has sliding glass doors leading to the covered pool area and master bathroom includes dual sinks, walk-in closet, garden tub and separate tiled walk-in shower. 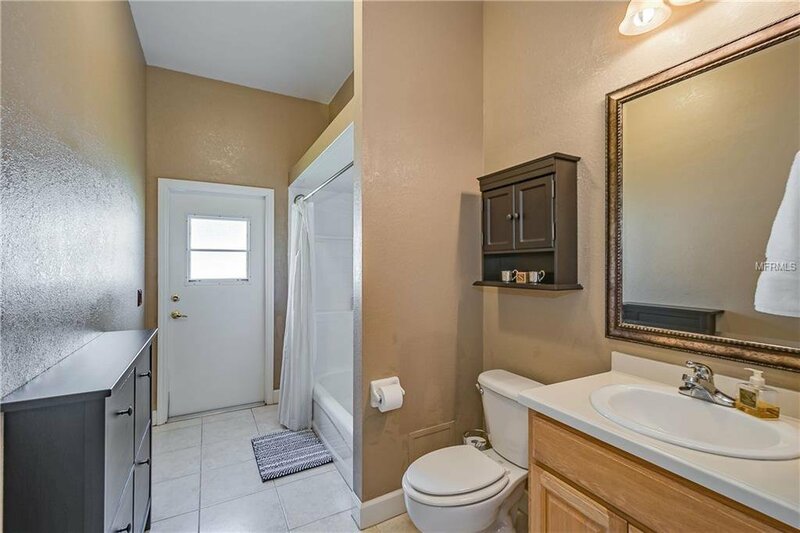 SPLIT FLOOR PLAN w/ bedroom 2 & 3 sharing a full bathroom (this bathroom also serves as the pool bath with entry onto the sidewalk in backyard, leading to the pool). 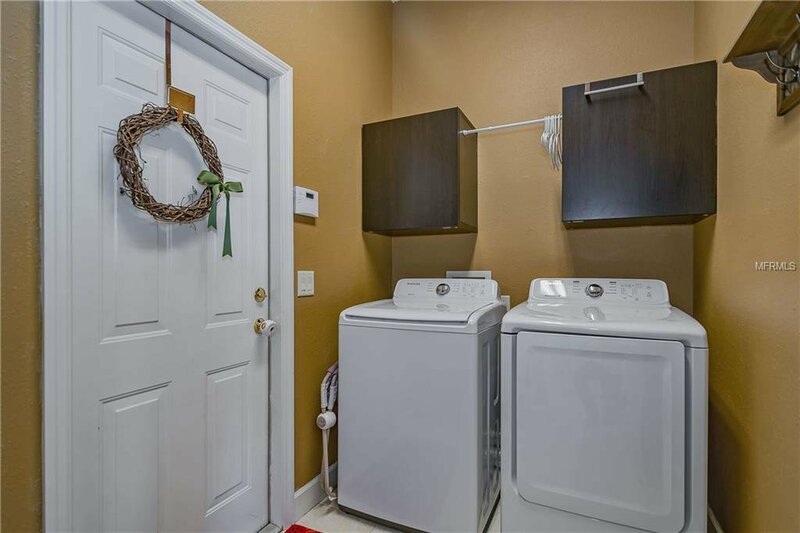 Interior laundry with storage and hanging space. 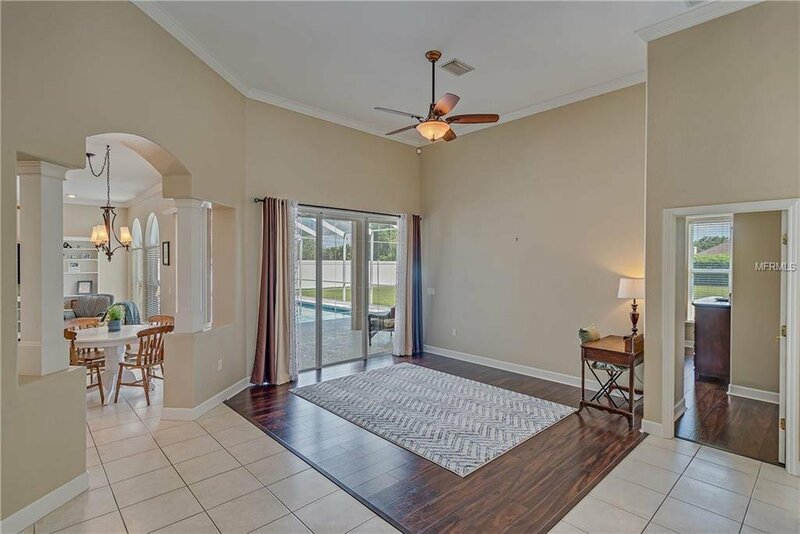 Garage has TONS OF STORAGE!! 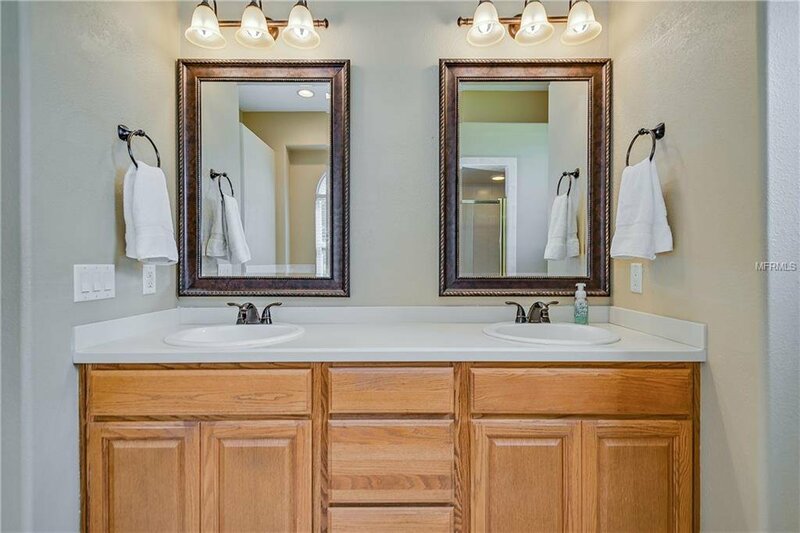 Ruby Lake is conveniently located to grocery, shopping, restaurants, + MORE! 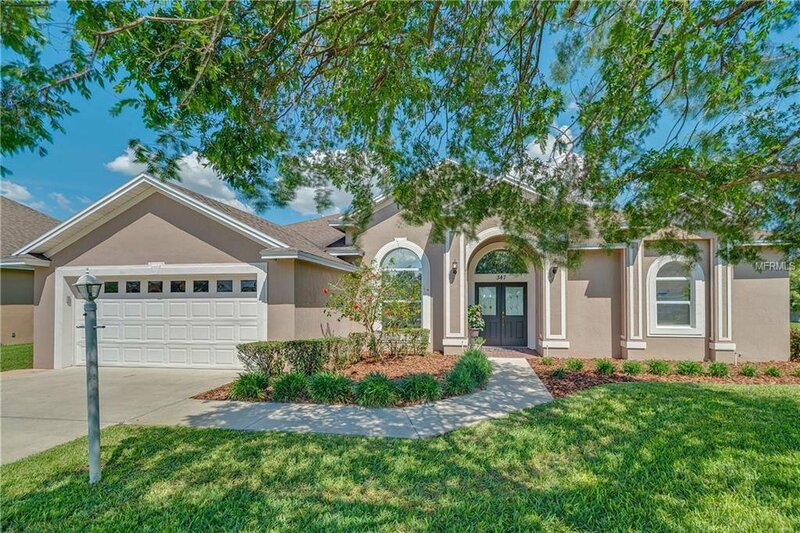 2 miles to HWY 27 and Legoland! 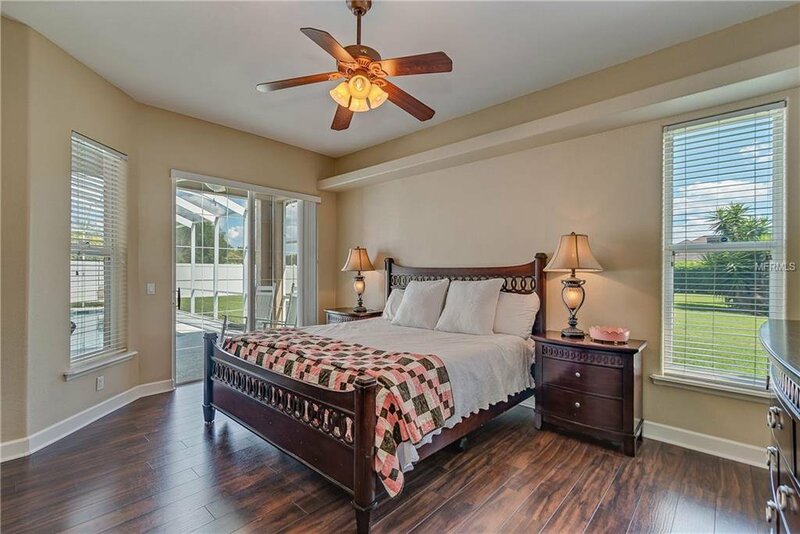 Listing courtesy of JUDY B CLEAVES PROPERTIES INC.